Mobile application association with students’ academic performance. 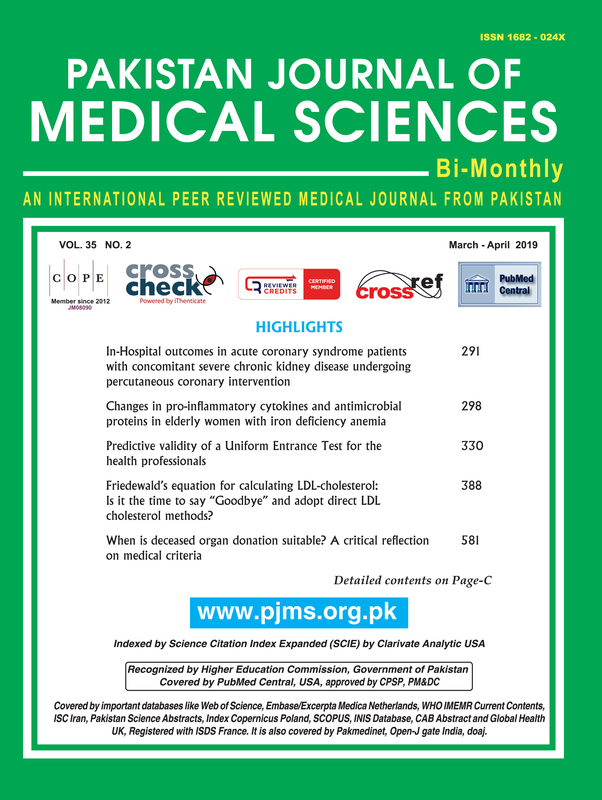 Objective: To estimate the frequency of usage and types of mobile medical applications amongst medical students of Pakistan and its association with their academic performance. Methods: The is a descriptive cross-sectional study conducted in five medical colleges. It was of 6 months duration from Sept, 2017 to Feb 2018. A sample size of 448 undergraduates was calculated by using WHO sample size calculator. Sampling technique was non-probability convenient sampling. Self-constructed questionnaire was used as data collection tool. Data were entered and analysed in SPSS version 22. Results: The study included 198 male (44.2%) and 250 female (55.8%) students (448 in total). The mean age was 21.08±1.542 years. About 323 (72%) students who were routinely using medical application scored 69+7% in their professional examination while 125 (28%) students, who were not using medical application scored 67±9%. The association between average usage of medical application and academic performance was statistically significant (p<0.01). Amongst the medical applications “Medical Wikipedia” had the most frequent usage i.e. 162 (36.2%) while the least frequently used app was Disease Dictionary i.e. 50 (11.2%). Conclusion: More than half of medical students who participated in the study were using medical applications on daily basis with “Medical Wikipedia” being the most commonly used application. Association between average usage of mobile medical applications and academic performance of the students was statistically significant. A large number of students agreed that medical applications were helpful in improving their medical as well as clinical knowledge.